Things are going quite well at the moment, I am feeling positive about nearly everything in my life. First of all, my new healthy diet and exercise regime is going really well. I have had a couple of hiccups, but only one binge/purge incident in the two months I have been doing it. Several times I have binged but not allowed myself to purge, making myself feel the food in my stomach, undoing the good work of my diet. I have completely changed the way I eat, going for more green, unprocessed foods. In fact, yesterday I was with friends and we stopped in McDonalds – and I declined anything, not because I was worried of getting fat, but because I was worried about the crap that they put into McDonalds! I have been doing a lot more exercise too, Yoga on a monday night, Pole fitness on a Wednesday night and spinning on a sunday night (but going to give that up as it is hell). I have also been doing a lot more at home, Wii Fit, Yoga, Zumba and more recently short runs in the morning before work and in the evening. I feel so much better for it and have opened a tumblr account to motivate myself. I am starting to like the ‘burn’ I get from exercise, but I am mindful not to get disordered about it. 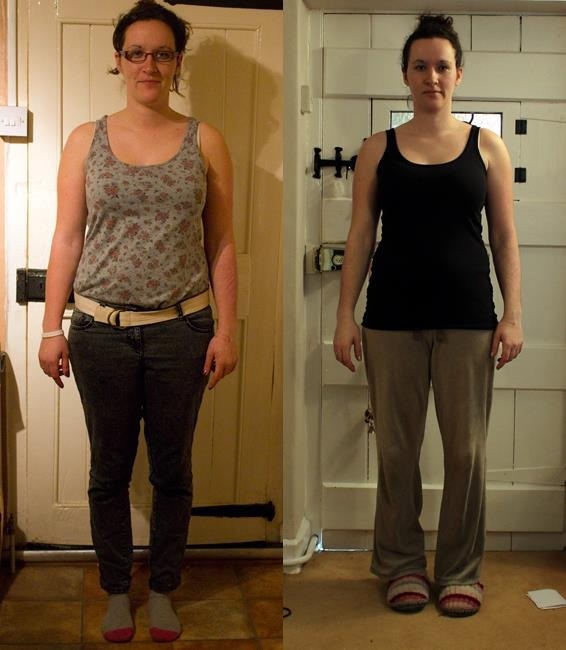 Here are my ‘before and after’ shots from 1st January 2013 to 1st March 2013. I can’t see too much of a difference, but I admit I can now see SOME. Perhaps it is because I want the perfect shape NOW, but I know that is only going to come through hard work and nothing else. I have finally realised that I don’t want to be skinny, I want to be fit. 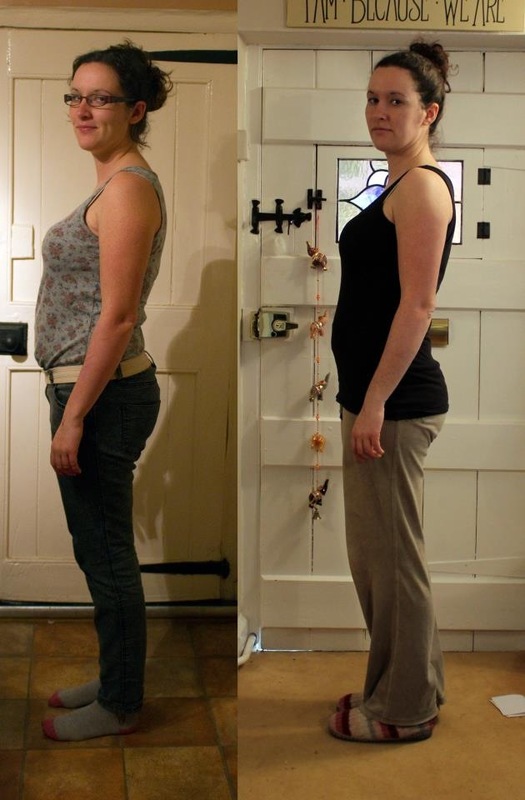 Binging and purging is weakness and it makes you bloated and unwell. So does taking laxatives – and on that note, I am feeling almost ready to go to the doctor about my ‘issues’ with my digestion – ever since I took those laxatives as part of my bulimia in my teens, my bowel movements have been completely erratic – 5 out of 7 days they are loose, sometimes like water (sorry too much info), sometimes I am constipated, sometimes lots of wind – I have been putting it off because I know they will want to investigate, probably through a camera up my bum, and I’m too scared of that. Anyway, I have the colposcopy coming up as a follow up from the bad cervical smear test – I might as well get one hole sorted first before I start on the other one, LOL!!!!! I hope you can see a difference too? In other news, I am getting on really well with the man I went on a date with last Thursday. His name is James (name changed) and he is really, really lovely. I met him last Thursday and next Thursday he has invited me to stay over – I know a bit too soon but I have a really good feeling, and don’t worry, I’m going to leave his address with a couple of people to make sure they know where I am. I have been feeling so good that I have been wondering whether or not I should stop taking my medication. I am only on a basic dose now of 20mg Escitalopram daily and I hate the fact that I have to take it. I know that I go on the circle all the time… I get down, I need the meds, I take the meds, they make me feel better, I think I don’t need them, I stop taking them, I get down… and the cycle goes on. I just wish I could come off them for good. I guess I want to be as ‘normal’ as I can. I haven’t told James about my arms yet but I have told him that I went through a difficult time after a relationship break up. I’m guessing I will have to come clean before next Thursday as if we spent the night together (he has assured me that he is a complete gentleman, and he has a spare room I can sleep in, and we can just have a nice night). I so desperately wish I didn’t have these scars – things would be so much easier. 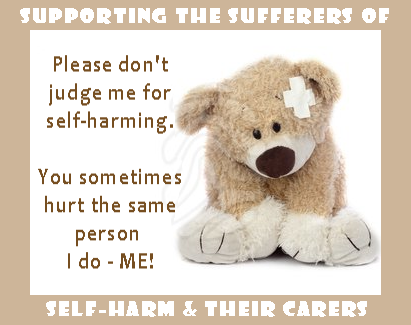 I wish I could speak to those children embarking on their journeys with self harm and show them the damage that they will have to live with, to make them think twice. You sound SO positive! It’s wonderful. And I see A LOT of change in the photos. Yes, you can use “feeling good” and “BPD” in the same sentence! I’ve felt a lot better lately too. Exercise is slow but I’m starting a program developed by Oprah Winfrey’s trainer. The focus in on eliminating emotional eating, making healthy food choices and exercising. HOPEFULLY!